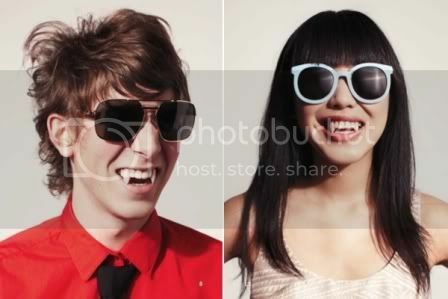 Discussion in 'More Accessories' started by BeHappy21, Mar 22, 2009. 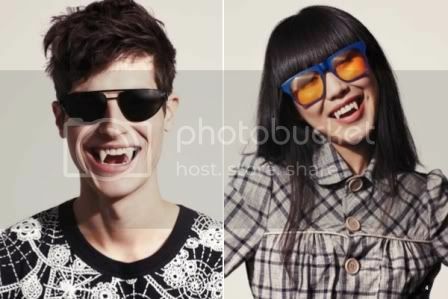 Karen Walker draws blood this summer with her new vampy eye wear range called 'Celebrate the Sun'. The new collection features bold metal silhouettes, chunky plastic frames, tinted lens's, tortoise shell frames and the classic Karen Walker bright coloured frames. 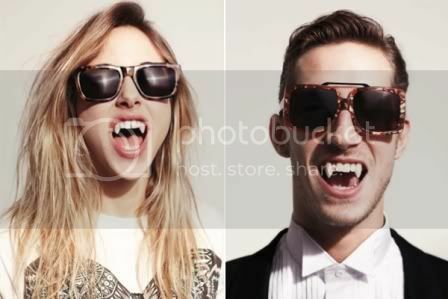 Models wear vampire teeth and Edward-Cullen-inspired hair styles. Oooh the last pair are cute!! !